It is popular. It is good. A lot of people claim to practise it, still more people like to talk about it. But what is it really? What does meditation mean? These questions have been answered over and over on the Internet, yet there seems to be little consensus about the true nature of meditation. This article offers a slightly different approach. One of the most common misunderstandings about meditation, (usually by those who are absolutely new to any sort of practice), is that one should sit perfectly thoughtless, free of all emotion, still as a rock. That state closely resembles being dead as thoughts and emotions are absolutely basic to human life. If your meditation makes you feel dead, you are either doing death meditation or got something entirely wrong. Jokes aside, there is some truth in this misconception, but only partially and under very specific circumstances. Zen meditation, for example, has the very similar goal of Zazen, or “just sitting”. In such state the practitioner would sit in perfect quietness, silently observing themselves and the world around. That means being free of thoughts and emotions, as stated above. On the other hand, Zen meditation is only one of many different schools and methods of meditation that people practice, and not all of these share its goal of stillness. Some techniques aim for enlightenment through cultivating Qi, others are meant to help you leave your physical body, still, others will simply let you be more present. Neither of those has the goal of thoughtlessness, yet thoughtlessness can (and will) be a sort of side-effect of deep and prolonged practice. In fact, rather the opposite is true: meditation is almost all about the effort itself! There are certain schools, who, besides charging a large amount of money for teaching, also market their product with being effortlessly easy. The bottom line is, it would require all the same effort as any similar method (that is e.g. freely available), but believing that we have something easy will, in fact, make it easier. The difficulty of the practice did not change, but our perception of it could have. Even though it might be sold to you. Some people, teachers, schools and even organisations will ask money for their services. This might be correct, and in all probability, there is nothing wrong with it at all. If the teacher needs the money to be able to continue teaching, that is great. If they are doing a good job, they might even deserve to be rewarded. Others might write books (as your humble author did), and sell it to you. In such cases you are not being sold meditation, you are buying a book, or paying for a service (i.e. teaching). The tipping point is easy to miss, but there is a level beyond which it is meditation itself you seem to be paying for, or at least so goes the marketing mantra of the western society. So how do you know? Overly high price-tags can be a first warning sign. Professional organisations are OK, as long as they don’t make a business out of selling a product. If they use commercial marketing, in both their communications and their promotions, they are turning meditation into their product. In the West, many people are used to obtaining value by paying for something. Yet there was a time people have created value when working meant to make something useful (not just tossing papers or crunching numbers). Meditation originates from those times, and its only value lies really in the effort invested. If you see your meditation marketed, you feel it’s expensive, even if it makes you feel satisfied (as in having paid good money for something, so it’s truly yours), you are missing the whole point of what meditation is, or rather, should be. This also comes with marketing. Usually to effectively market a product, a very good way to communicate is to make consumers feel more, better or superior, simply by being consumers of that product. They might belong to an exclusive club, they might feel they know something others don’t, or have access to some sort of secret, only shared by those who have bought in. (Think about the popular tech-brand resembling a piece of fruit, and its users’ apparent feeling of superiority). And it works. Basic human psychology teaches us, that playing on people’s vanity always pays off. Even with meditation. This is the second most obvious mistake people make and it has to do with the most often quoted practice: mindfulness. It must be written down for once: Meditation is more than just mindfulness. If you are still reading, well done. This sort of openness is often missing from many advocates the otherwise excellent Vipassana meditation, or its modern cousin “mindfulness” as if it was the definition of meditation itself (most prominently those who make a living out of it, but there are some serious devotees too). 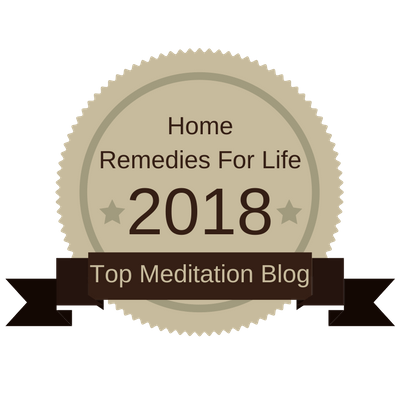 While Vipassana and even contemporary mindfulness are great ways to start practising meditation and provide unparalleled help in the most difficult of all the steps involved, i.e. bringing one’s mind to the present moment; this is only the first step on a lifelong journey of meditation practice. There are more advanced (and also more difficult) methods of meditation to be learned, with greater and deeper benefits, Vipassana (and “mindfulness”) alone could provide. People often just need to relax. They go through so much angst, so much stress throughout the day, they could not possibly think of seriously meditating. In fact, some degree of relaxation is almost essential to being able to meditate, at least as far as putting one’s mind at ease goes. But make no mistake, being able to relax, is not meditation yet. It is often necessary but works quite independently. One can relax without meditating and in some specific cases (and involving really strong minds), people can meditate without relaxing. In fact, too much relaxation can be undesirable for your meditation practice, as it will lax your attention, your concentration would sag and you will not be able to maintain focus, which, as you will see, is essential. Thinking along the same lines, some people expect meditation to bring peace and harmony into their lives. Certainly, it could and it would, if you do it that way, but you should not mistake such peace with meditation itself. The peace one experiences from meditation practice are owed to with the effect called “relaxation response”, where one’s mind will relax as a result of mediation (but only afterwards). Being more reassured about ourselves, as meditation can make us feel, is also a great way of relieving stress, which often comes from self-doubt. This is great, but again, only a “side-effect” of the practice, and will largely depend on the practitioner’s particular mindset. Many of us will practise with these aims, and have these goals in our minds, so it is only natural that we experience such effects. But meditation itself would not bring it. It was the intention that did it. Meditation is only a tool or vehicle that can help us attain such goal. The origin of such peace and relaxation is not the meditation practice, but it is us, ourselves. Meditation is what we use to be able to tap into it. If you now think “But you need to sit/lay down, close your eyes, or do other such things to meditate, or follow a certain pattern, repeat a mantra, etc.”, you should keep reading. Those are all methods of meditation, but not necessarily meditation itself. After having read so many words about what it was not, you must be wondering where this all is going. But have you not already learned more about meditation by just knowing what it is not, or not only? Your patience will, of course, pay off. You can treat this long reading as a test of your ability to focus. If you are still reading, you are doing something right (and the text is not that boring after all). There are many different ways to do meditation. One might focus on the breathing, as in Zen. One might be busy with one’s thoughts and being present as in Vipassana. One might repeat a mantra, as in OM meditation, or TM. One can contemplate death, as in death meditation. One can focus on the cultivation of Qi, as in the various methods of QiGong meditation. It is also possible to meditate in or through movement, think about walking meditation, TaiJiQuan, QiGong, and almost any traditional martial arts, running (yes, really, if done the right way), target shooting, etc. These are all just the most basic and most obvious techniques, there are hundreds of traditional ways to practise meditation and there is no end to the possibilities if one approaches with the right mind and with a little creativity. You don’t just focus. you have a goal. You want to be present, you want to become enlightened, you want to gain something. You have an intention and you focus willingly and, for lack of a better word, intentionally. (If you know a better world, let me know, I would love to use it.) Your practice has a purpose, you have a goal, somewhere to go, something to reach, something to attain. These all make up your intention, and it is as important to your meditation as focus itself. Intention without focus only gets wasted and focus without intention does not get anywhere, therefore they are both essential. You have your focus, you have your intention, but what brings it all together, what makes it all work out, in the end, is the effort you put in. Without effort, you can have both of the above, yet you would not get far. Your effort is the real work, it is not quitting when it’s difficult, it is sticking with your practice until you truly master it. (It is worth a mention here that such effort is what is responsible for most of the biological and even spiritual benefits of meditation. Your effort turns it to be something like a training session for your mind and spirit. if you feel somewhat tired after your practice, you’ll know you’ve done it right.) While focus and intention are the way to start meditating, an effort is necessary to sustain it. Mastery can only be achieved by applied effort. And this, the third ingredient, will make the picture finally whole. 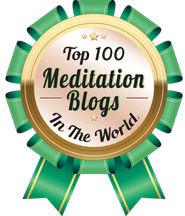 There you have it: Meditation is the effort applied to sustaining intentional focus. Simple isn’t it? Probably too simple, and this is one of the reasons people often don’t like this explanation. They like something bigger and fluffier. They like to feel more spiritual about it all, they want to be transcendent, etc. They don’t just want a coffee, they want an XXL frappuccino with extra froth and sprinkles. (Yet, in the end, it is the coffee in it that does the trick). But that is all possible, in fact, that gives meaning to all that has been discussed. Apart from being part of your intention, it gives you something to focus on and provides you with the strength to sustain your effort. It could be argued, that this is the fourth, or secret ingredient: meaning. But following the above logic, the meaning is not really a part of the whole, the meaning is what it will be applied to, or what will be applied to it, depending on where you looking at it from. If you have read this far, thank you. I would love to hear your opinion, whether you agree, or disagree. If you liked what you’ve read, please share it on social media, so it could gain some exposure. If you care to be notified about new content, get some special offers and announcements right into your Inbox, you can subscribe to the Meditation for Beginners Newsletter (it’s not only for beginners) to get mostly irregular updates Seriously, It’s been nearly three months since I’ve sent one out, so you must not be afraid of being spammed. (You can subscribe via the annoying pop-up, you probably already closed, or by clicking here).